To claim this profile, please confirm you are Elena Bertrand. To follow this profile, please let us know your relationship to Elena Bertrand. Elena's basketball stats have been updated for the loss vs. Chantilly. RESULTLoss Girls varsity basketball vs. Chantilly. The Patriot varsity basketball team lost Tuesday's home tournament game against Chantilly (VA) by a score of 50-39. Elena's basketball stats have been updated for the loss @ Stonewall Jackson. RESULTLoss Girls varsity basketball @ Stonewall Jackson. The Patriot varsity basketball team lost Wednesday's away tournament game against Stonewall Jackson (Manassas, VA) by a score of 77-69. Elena's basketball stats have been updated for the loss @ Osbourn Park. RESULTLoss Girls varsity basketball @ Osbourn Park. The Patriot varsity basketball team lost Friday's away conference game against Osbourn Park (Manassas, VA) by a score of 63-38. The Patriot varsity basketball team lost Wednesday's away conference game against Stonewall Jackson (Manassas, VA) by a score of 55-41. Elena's basketball stats have been updated for the win vs. Osbourn. RESULTWin Girls varsity basketball vs. Osbourn. The Patriot varsity basketball team won Tuesday's home conference game against Osbourn (Manassas, VA) by a score of 48-36. Elena's basketball stats have been updated for the loss vs. Battlefield. RESULTLoss Girls varsity basketball vs. Battlefield. The Patriot varsity basketball team lost Friday's home conference game against rival school Battlefield (Haymarket, VA) by a score of 46-42. 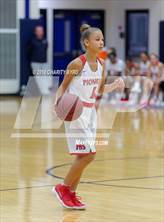 The Patriot varsity basketball team lost Friday's away conference game against Osbourn Park (Manassas, VA) by a score of 47-38. Elena's basketball stats have been updated for the win @ Osbourn. RESULTWin Girls varsity basketball @ Osbourn. The Patriot varsity basketball team won Wednesday's away conference game against Osbourn (Manassas, VA) by a score of 52-34. Elena's basketball stats have been updated for the win @ Gar-Field. RESULTWin Girls varsity basketball @ Gar-Field. The Patriot varsity basketball team won Wednesday's away non-conference game against Gar-Field (Woodbridge, VA) by a score of 51-24. Elena's basketball stats have been updated for the loss vs. Stonewall Jackson.